FREE delivery to United Kingdom in 2 - 3 working days. Artisan crafted glass table lamp - bringing glass, wood and anodised aluminium together to create a stunning table / side lamp, that oozes style and high quality craft. Artisan crafted glass seems to pour upwards and outwards following the breath of the glass blowing artist, producing a honey-coloured dome with a similar syrupy consistency. The light collects in a pool of dark timber below. 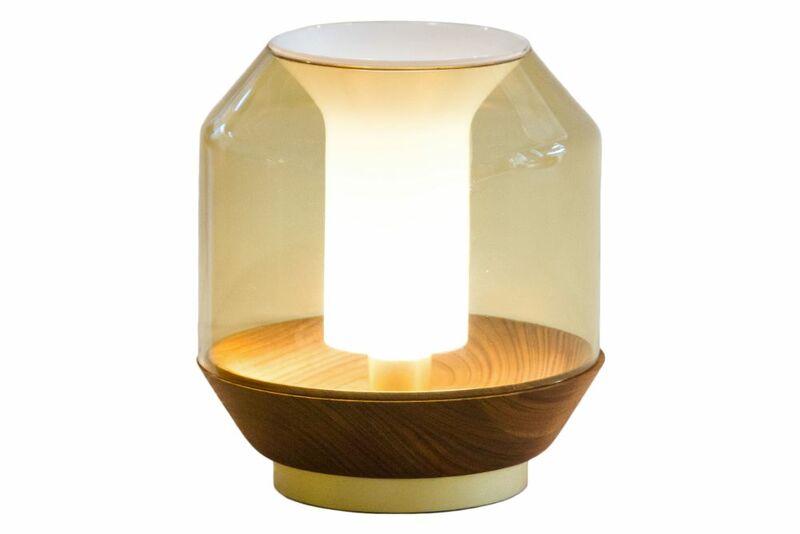 At the heart of the table light, dark ripples of wood reflect off of polished brass. It features a rotary dimmer switch with white fabric covered cable.